The DAISY local image descriptor is based on gradient orientation histograms similar to the SIFT descriptor. It is formulated in a way that allows for fast dense extraction which is useful for e.g. bag-of-features image representations. 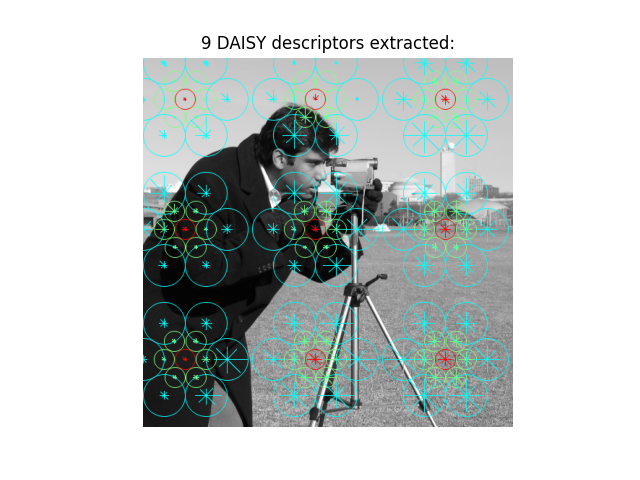 In this example a limited number of DAISY descriptors are extracted at a large scale for illustrative purposes.